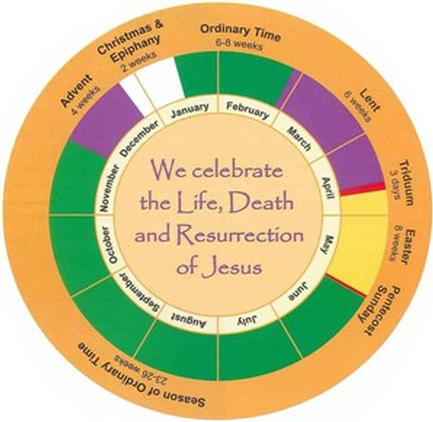 The inner ring shows the usual colours of vestments worn throughout the church year. The photos in the pdf file below give a flavour of some of the events in a typical year at St. John’s. This is a large file which may take a while to download, but it gives better quality resolution to the photos in this format, than the slideshow we originally had on this page. Click on the pdf icon below and scroll through the pages at your own pace to see what goes on in our parish.